In recent weeks it was becoming increasingly clear that Governor Jerry Brown’s tax measure proposal was headed for defeat, because it included an unpopular sales tax hike. Numerous polls showed that it was trailing the rival Millionaire’s Tax — which proposed to only raise income taxes on the wealthy — by a substantial margin. Backers of the Millionaire’s Tax also had repeatedly — and rightly — rebuffed requests by Brown to drop their more popular measure in favor of his less popular one. So Brown, instead of pushing on with his doomed measure, decided to strike a deal with the sponsors of the Millionaire’s Tax and combine the two measures into one. It was a smart move. There’s no doubt that the state’s beleaguered finances need a serious revenue boost. Budget cuts over the past few years have devastated funding for higher education, social services, state parks, and other important programs. The new compromise measure will bring in an estimated $9 billion annually if it passes. Although Brown is already taking criticism from moderates — the Chron editorial board today said that he “caved” — the deal makes sense politically. Tax measures are never easy to pass in California, and Democrats and progressives likely need a united front to be successful. Republicans were never going to endorse either tax measure, while infighting and competing measures threatened to divide traditional alliances on the left. 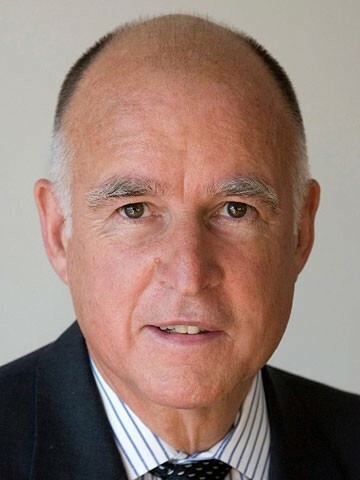 For example, the California Federation of Teachers was backing the Millionaire’s Tax while the state’s other major teachers’ union, the California Teachers’ Association, was supporting Brown’s plan. Now, the two influential unions will be working together for the same proposal. In fact, virtually all the major unions in the state are expected to endorse the new tax measure. And while the new plan has flaws, the decision by the Millionaire’s Tax sponsors to strike a deal with Brown was understandable, too. With two measures instead of one, opponents of the Millionaire’s Tax — i.e. Big Business and the wealthy — would have likely spent heavily to defeat it. Unfortunately, negative advertising works all too well in this country, and as a result, the Millionaire’s tax — as popular as it was — probably faced a tough fight. As such, we may have been left with two losing tax measures: Brown’s less popular one, and a Millionaire’s Tax battered by a barrage of negative ads financed by the One Percent. The rich, of course, will probably go after the compromise measure, too. But at least Democrats and progressives will be united in their fight to pass it. Brown’s position as governor also will help. Big Business may be reticent about directly taking on the new proposal out of fear of angering him — and then not getting what they want on other issues. The new compromise measure, if it passes, will increase income taxes on the wealthy at a higher rate than what Brown had proposed. Individuals making more than $500,000 a year, and couples making more than $1 million, will see a 3-percent-tax hike, which is the same as what the Millionaire’s Tax proposed (the governor had proposed a 2-percent increase). The new measure also lowers Brown’s proposed sales tax increase from .5 percent to .25 percent. The Millionaire’s tax would have left sales taxes as is. At the same time, the new measure would raise taxes by 1 percent on individuals who make more than $250,000 a year, and couples who make more than $500,000 (which is the same as what Brown originally proposed); and by 2 percent on individuals who make more than $500,000 a year, and couples who make more than $600,000 a year (Brown had originally proposed a 1.5 percent hike). The Millionaire’s Tax would have only increased taxes on incomes above $1 million. The compromise also discards the Millionaire’s Tax proposal to hike taxes by 5 percent on incomes above $3 million. The main drawback, of course, to the compromise deal is the sales tax increase. Sales taxes are regressive because they impact low- and middle-income wage earners the most. They’re especially a bad idea in a state in which low-income people already pay a higher effective tax rate (10.2 percent) than the wealthy (7.4 percent), when considering all taxes. Nonetheless, the prospect of a united, winning campaign to raise revenues and help avoid further devastating budget cuts outweighs the sales tax flaw in the compromise deal. Moreover, the compromise plan will still help level the tax playing field in California, because it will raise taxes much more on the One Percent than on the 99 Percent.